A few weeks ago TikTok saw a trend explode on the For You page. Short videos of people sipping E-Juice, finding out it was Yee-Juice, and magically transforming into cowgirls and cowboys filled the feeds. At the center of this meme was "Old Town Road," a song by Lil Nas X. The low-key, melodic banjo intro leading to an emphatic base drop was the perfect music to inspire countless creators across TikTok and the internet. While it was a fun video format for everyone on the app, for Nas, it pushed him from an aspiring artist to the Billboard charts and a record deal. From the beginning, the 19-year-old from Atlanta utilized new forms of social media to get exposure. He developed a talent for spotting trends and creating content that resonated with the internet, and began showcasing his music on TikTok. He experimented with "Old Town Road" as the music for several memes, and when it took off it sparked a TikTok trend that launched the artist onto phones around the world. The short sample of "Old Town Road" peaked listener's curiosity, leading them to find the entire song on streaming services and netting Nas millions of listens. Lil Nas X stopped by TikTok's LA office and spoke about his love for the community. "TikTok helped me change my life," says Nas. "TikTok brought my song to several different audiences at once." TikTok's ability to rapidly spread a song to different types of users helped "Old Town Road" rise to the top of several music listings. It even caught the attention of country music legend Billy Ray Cyrus, who teamed up with Lil Nas X to remix the song. "Old Town Road" currently sits at #15 on the Billboard Top 100 and Nas has signed with Columbia Records. 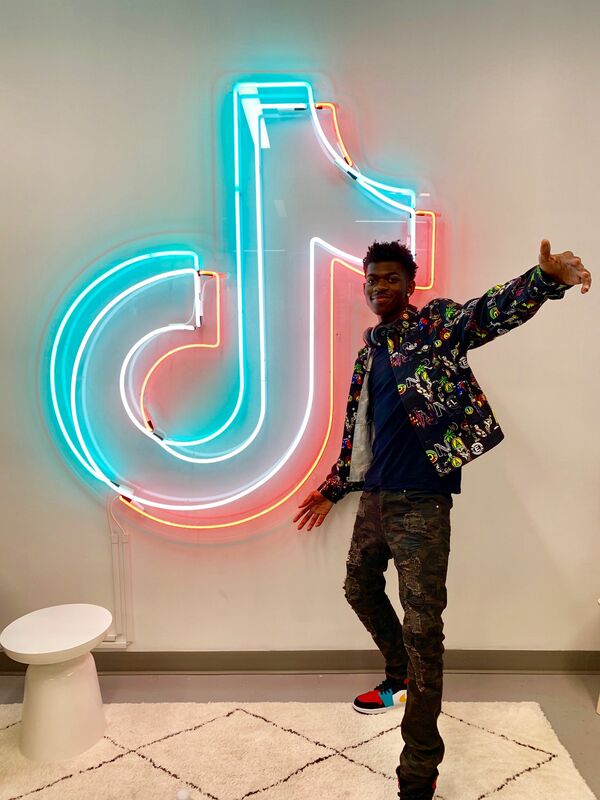 Lil Nas X's success story highlights how talented artists are using TikTok to grow a fanbase and promote their music. "Old Town Road" is not the only song to gain an audience through creative use on TikTok. Songs like Absofacto's "Dissolve" and Joji's "Slow Dancing in the Dark" have exploded with trends of their own. Joji's "Slow Dancing in the Dark" was recently the musical inspiration for the #MicrowaveChallenge and Absofacto liked the videos featuring "Dissolve" so much that he made his own compilation. The combination of an ear-catching beat and a creative video format compound to reach a larger audience quicker than ever before. TikTok users are constantly searching for the next big song or trend to go viral leaving plenty of room for new, inspired artists to break out on the platform. Us the app to promote your creativity and who knows, you might be the next artist to reach our growing audience and spark a career. As for Lil Nas X, he has a few words for the TikTok community. "I want TikTok fans to know that I love them and thanks."